Welcome to a new series, Target BP, on ReachMD. The following program was produced in collaboration with the American Heart Association and the American Medical Association following the release of the 2017 Hypertension Guideline. To learn more about the guideline and how your practice can improve blood pressure control rates, visit targetbp.org. Cardiovascular disease remains the leading cause of death among Americans. Hypertension is considered the leading risk factor for strokes or heart attacks, yet only half of the people diagnosed with these conditions have it under control. 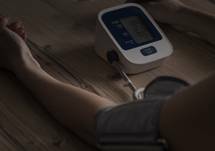 To combat this, the American College of Cardiology and the American Heart Association Task Force released a new guideline regarding high blood pressure in adults, with the goal of reducing the impact of heart disease, hypertension, and stroke. I’m Dr. Jennifer Caudle for ReachMD. Joining me is Dr. Paul Whelton, who is the Chair of the Writing Committee and lead author of the 2017 Guidelines for the Prevention, Detection, Evaluation, and Management of High Blood Pressure in Adults. He was also one of the speakers in a live moderated Facebook discussion convened by the AMA and AHA hosted by TEDMED during AHA Scientific Sessions in Anaheim. Dr. Whelton, welcome to the program. To help get us grounded, can you take us through the key updates within the new hypertension guidelines that clinicians and public health professionals need to be aware of? Well, I think the first one is new classification system. The last time it was updated was in 1993, JNC 5, and the new classification system keeps normal as it always has been at a systolic less than 120, diastolic less than 80. We’ve taken what was labeled as prehypertension before and split it into two, 120 to 129 with a diastolic less than 80, we are calling elevated blood pressure, and 130 to 139, or 80 to 89, which was the top end of prehypertension before, we’re labeling that as stage 1 hypertension, and the reason we are calling it stage 1 hypertension is that people who are in that blood pressure range are already at double the risk for heart attack or stroke compared to those with normal blood pressure, and we know from lifestyle and drug trials that they benefit from getting to lower levels. So, that’s a new departure, and then everyone who’s 140 and above, 90 diastolic and above, we’re labeling that stage 2 hypertension. So, that’s the new classification system. We have a new approach to treatment, especially for the stage 1 hypertensives. We say it’s really important to understand their cardiovascular risk if they are otherwise at low risk for cardiovascular disease and they just have stage 1 hypertension, then want pharmacologic therapy or lifestyle intervention would be what they need and what they’ll benefit from. If on the other hand they are in stage 1 hypertension and they have a high cardiovascular risk; if they’d either had an event already, or on a calculator they seem to be high, they would benefit from lifestyle plus a hypertensive medication; and of course once you get up to stage 2, they would definitely benefit from a combination of lifestyle and drug therapy. 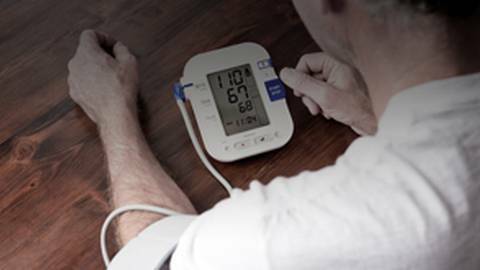 We’ve changed the target for blood pressure reduction, so in almost all hypertensives we’re suggesting get down to less than 130 mmHg systolic and less than 80 mmHg diastolic. For older adults, we don’t focus on diastolic because it’s typically low, and there we just say systolic less than 130. We put a lot of emphasis on blood pressure measurement. We think it’s really important to have accurate measurements, to get measurements that represent the true average the body is seeing by getting observations on several other visits, but more than one visit, and we put an emphasis on out of office measurements to confirm office hypertension because office pressures, although very valuable, give us a small window on what the body sees, and we know there are quite a few adults that we see who have high pressures in the office, but they seem to be a little outside the so-called white coat hypertension, and their risk seems to be closer to that of a normotensive than a hypertensive; and the flip side of course is that we’re sometimes fooled in the office. We record a normal series of blood pressures, and we find out that when we do out of office pressures, somebody has high pressure, so called masked hypertension, and their risk pattern is quite similar in most studies to sustained hypertension. And the last thing I will sort of mention as an important area that’s a highlight, is we have a lot of recommendations in the guideline for ways to improve control rates, and we’ve done better progressively as clinicians and as a nation, but we can learn from those who’ve done really well in awareness treatment control. So, those are some highlights. There are 106 recommendations, it’s in 15 sections, so although it’s long, one can go to any section and navigate it easily. So we hope it will be helpful to clinicians, and also to the general population. So, the new hypertension guidelines sort of shift the needle towards a more preventative stance. Can you talk about the rationale or aim for making the shift, and really what evidence stood out as the most supportive or influential with regards to making these changes for the definition of hypertension? Well, there was a lot of new evidence, certainly from the last comprehensive guideline which was published in 2003. There have been more recent guidelines targeted around treatment issues, and even for those, the JNC 8 panel being an example in 2014, there’s a lot more additional new information since then. So, for those who are in stage 1 hypertension, which is lower than we used to target the blood pressure for diagnosis before, the rationale is that they’re already at high risk, and several big studies have documented very well that people in that blood pressure range have already got about double the risk for heart attack and a stroke compared to normal blood pressure. And we have a lot of experience now with lifestyle interventions that work in that blood pressure level, and even with drug therapy, and it works on that level. So, that’s the basis for it. We’ve also got a lot of information that tell us for people that have higher levels of blood pressure, that if they’re at high risk for cardiovascular disease, they’re likely to benefit from more intensive therapy. The systolic blood pressure intervention trial is a great example of that. It is a trial that I chair, and we’ve shown very convincingly that more intensive reduction is beneficial. Many other trials collectively have shown the same sort of thing, and that had a lot to do with the basis for our suggesting go to lower levels for control of hypertensives, and do that in all patients, but even in those who are older adults. In that SPRINT trial, about a third of over 9,000 participants were over the age of 75 before we started the trial, and they did particularly well in avoiding cardiovascular complications and avoiding death from any cause; and even those who were the most frail amongst that group did very, very well. So, we have a lot of documentation that more intensive treatment is beneficial, even in older people, especially if they are at a high risk for cardiovascular disease, and obviously, it goes without saying, that when you embark upon therapy, especially a more intensive therapy, you have to do it carefully. You have to monitor the patient carefully, check the laboratories, make sure they don’t have symptomatic hypertension or any other adverse effects, but most people are going to derive substantial benefit. If you’re just joining us, this is Dr. Jennifer Caudle from ReachMD, and I’m speaking with Dr. Paul Whelton, Chair of the Writing Committee, and lead author of Guidelines for the Prevention, Detection, Evaluation, and Management of High Blood Pressure in Adults. From an experiential standpoint as Chair of the Writing Committee and lead author of these guidelines, can you share what the experience was like leading a large team of experts towards this really monumental release of information? Well, I have to say we had a fantastic committee. It had a whole variety of people with different experiences in disciplines, geriatricians, cardiologists, endocrinologists, epidemiologists,we had so many pediatricians for almost all of the different disciplines of medicine, and we had two lay members, who were very much engaged in the process throughout. So, it was a great committee to work with. Nobody on the committee had any relationship with industry that produces blood pressure medications or any product that would lower medicine, so they weren’t in any way pressured consciously or subconsciously by commercial interest, and really that science is what drove the decisions, and we have fantastic support from the American Heart Association and the American College of Cardiology. So, throughout the process it was a lot of work. We reviewed nearly a 1000 studies. We have produced 448 extensive evidence tables in support of our recommendations, but it was a great pleasure and I really learned a lot during the process and benefitted a lot from the process. That’s wonderful. It really is quite an accomplishment, and the work that you all did is going to impact not only patients, but physicians greatly and positively as well. As a global public health expert, you’ve had a unique vantage point throughout the development of these guidelines. What were your priorities for ensuring that the new recommendations represented the best steps forward? Stick with the science; that’s, I think, the core here. What’s the best science and what is practical? So, in practice select the risk calculator, for example, we spent a good deal of time trying to understand what would be the best risk calculator, and what would be the least disruptive for clinicians, and we eventually chose the same calculator that is being used for management of patients with lipid abnormalities, and patients who might be considered as candidates for starting aspirin. I think the science is the core part of this, and then understanding how best can we empower clinicians, and how do we bring patients into the schema. Of course, we stress here, to the extent that if at all possible we should take advantage of a full team who can work, encourage, and facilitate implementation of these guidelines in US sales. And finally, looking towards the future, what do you think will be needed in the weeks, the months, and even years ahead for the medical community, such as myself and my colleagues, our colleagues, to really adopt these guidelines, and what’s the best case scenario, and what does that look like? Well, we’ve done the first part of the process, which did require a lot of effort, but in many ways it’s the easiest part, that is developing the guidelines. How we start on the more challenging part, and that is dissemination of the information, and implementation of the information, and it is a lot. We have 106 recommendations. It’s a long document, although we have it broken it up into 15 sections to make it easier for clinicians to navigate, but I can understand any clinician who would say, “I’m overwhelmed. There’s so much in here. I thought I was doing reasonably well yesterday, but today it doesn’t seem like I’m doing so well.” And we have that every time we have a new guideline that changes the classification system. We’ve had it before for diabetes. We’ve had it for lipids. We’ve had it for blood pressure. So, we have to try to get over that initial shock and work together to see how we can best benefit our patients, and at the end of the day, that’s our goal. My hope is that this guideline can be implemented in large part, that as we spot problems in the guideline we can correct them, and that we can in the end do a better job at capturing those at risk, a better job in selecting who would benefit from any hypertensive drug therapy, in addition to lifestyle change. Help the clinicians and patients to actually change their lifestyle, because we all understand that’s not easy, but it’s a core issue for high blood pressure, and get to lower pressures during treatment. And I’m very confident, and I know the members of the committee are also, that if we achieve some or all of those goals, we will end up improving health for individuals, and certainly improving health for the nation. That’s important obviously to all of us, and that’s certainly what drives as a mission the 11 partners who have supported the generation of this guideline. Well, with that I want to thank my guest, Dr. Paul Whelton. To access this interview and other related content with the AMA, please visit us at ReachMD.com, or download the ReachMD app. I’m Dr. Jennifer Caudle, and as always, inviting You To Be Part of the Knowledge. 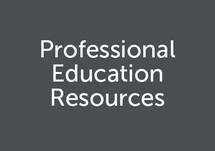 The preceding program was produced in collaboration with the American Heart Association and the American Medical Association following the release of the 2017 Hypertension Guideline. To learn more about the guideline and how your practice can improve blood pressure control rates, visit targetbp.org.​ And, to access this interview and others in this series, please visit reachmd.com/targetBP This is ReachMD. Be Part of the Knowledge. Dr. Paul Whelton, chair of the 2017 hypertension clinical practice guidelines, explains how the new recommendations will affect patients. Under the 2017 Hypertension Guidelines, 46 percent of U.S. adults have high blood pressure, which is up from 32 percent under the old benchmark. 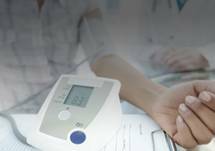 This interview covers the key information physicians need to know from the new guidelines in order to improve blood pressure control rates. Host Dr. Jennifer Caudle chats with Dr. Paul Whelton, chair of the 2017 blood pressure guidelines writing committee, about how the new guidelines will affect patients. The views, information, or opinions expressed during this interview are solely those of the individuals involved and do not necessarily represent those of the American Heart Association or the American Medical Association. The accuracy, completeness and validity of any statements made within this interview are not guaranteed. This interview does not constitute medical or other professional advice or services.